All eyes are on Brazil with the FIFA world cup 2014 just around the corner, and the 2016 Olympics due to be held in Rio de Janeiro, the UK has got Brazil fever! Get on board and book one of our experienced and professional workshop leaders to deliver a Brazilian Samba drumming, dance workshop, costume making or a performance at your school or business. Samba will bring uplifting, positive energy to your pupils and colleagues, people always leave our classes singing songs and drumming out rhythms on tables with pens and pencils! It’s not surprising given our drumming and dance tutors have studied and performed in Brazil several times, at both Rio and Salvador Carnivals. Their enthusiasm and energy is infectious, our drumming and dance workshops are energising, team building activities as well as improving self confidence and learning new skills. They also enrich the national curriculum by providing an opportunity for cross curricular learning. In our dance workshops, participants will be able to learn the basic steps of Rio Samba, getting a fun and educational workout! Workshops can be tailored to suit your needs ,have no minimum or maximum number and require no previous dance experience. Our dancer teacher Jenny is fantastic at making everyone feel relaxed in her classes meaning people let go of their inhibitions and get into the Samba groove! Our Samba drumming workshops are ideal for all ages and abilities as they require absolutely no prior experience of drumming. By the end of the workshops all participants will have knowledge of the different Brazilian and Samba instruments, an introduction to the different rhythms and styles of modern day Brazilian Carnival music and the chance to have a go at directing the drumming group! Read more about our corporate drum workshops here. For education workshops please click here. Our drumming and dance teachers are creative, flexible and professional and have 10+ years of playing and delivering Samba workshops. 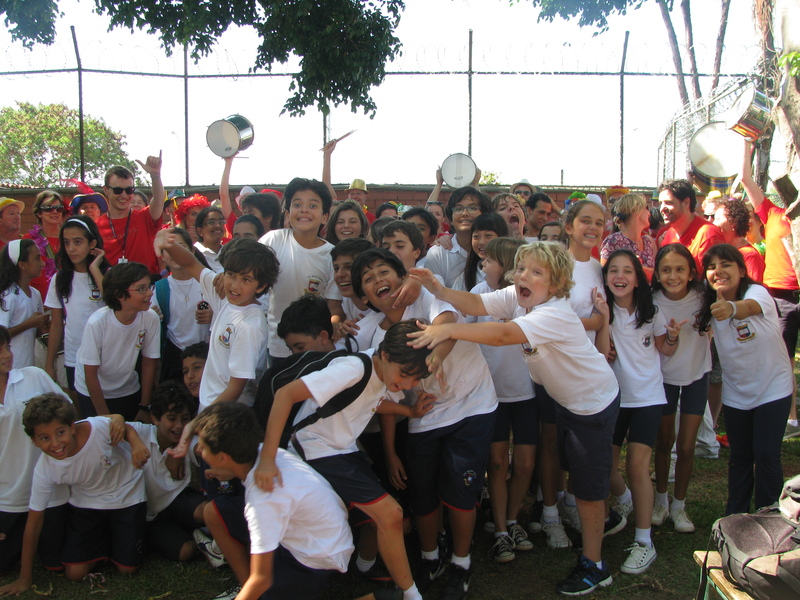 Last month one of our percussion tutors went to Rio to participate in the Carnival Transatlantico project, bringing 45 English drummers to Rio to perform in the carnival, as well as teaching a drumming workshop at the British School in Rio de Janeiro, you can read our blog post about that here. We provide the real deal Brazilian experience to all of our clients. For even more excitement in the lead up to Rio 2014, bring the Latin flavour to your event with our bespoke groups of professional performing drummers and dancers. 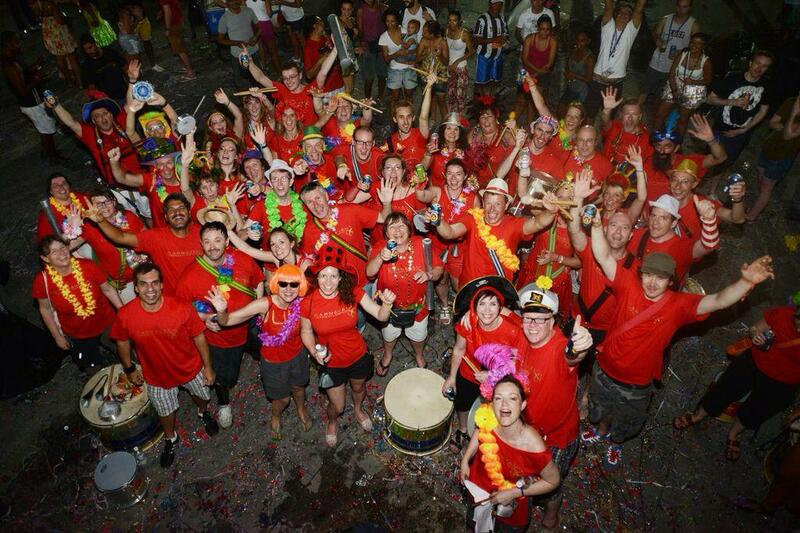 Our samba drummers and dancers will bring the dynamic, infectious Brazilian Samba rhythms to get you in the Carnival spirit! Please contact us to find out more about our samba workshop packages and prices, or let us know what you have in mind to celebrate the road to Rio!